Mark combines his vast experience as a horseman and trainer with a stimulating presentation style. As a former professional speaker, Mark entertains and informs his audience about these growing sports and his new method of horse training. He has written for, and been featured in, a number of national magazines and is the author of the popular book, “Bolender’s Guide to Mastering Mountain and Extreme Trail Riding” (which is the first-ever book written about the subject). His articles about these disciplines, new trends, and training methods have made Mark a feature presenter in both print and broadcast media. Mark administers a judging school which certifies judges in the USA, Canada, Australia and Europe for Mountain Trail and Trail Challenge. He and Lee Bolender are the founders of the International Mountain Trail Challenge Association™ (IMTCA) which was formed to promote the sport of Mountain Trail. Today, the IMTCA coordinates activities, develops training protocols, and maintains regulations and certifications for Mountain Trail competition. Mark actively uses his training philosophy to help all who come hone their skills, which results in a boldness and confidence that can be seen in horse and rider. 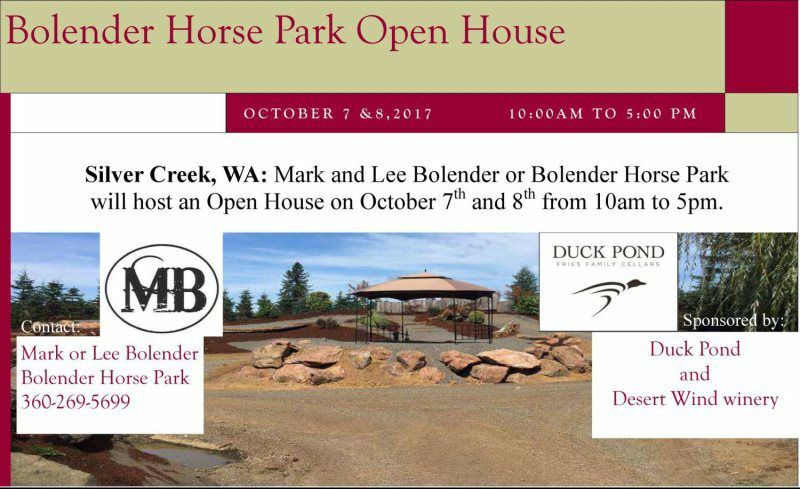 In fact, Bolender Horse Park™ was initially designed with the needs of the horse and rider in mind, and both learn quickly. Mark Bolender Horsemanship represents Mark’s training technique which is centered on using the natural instincts of the horse during the training process. Mark says that activating key instincts in the horse combined with good horsemanship results in real equine magic. To see Mark with a Mountain Trail horse truly is a magical experience. Bolender Horse Park is simply the finest Mountain Trail and Extreme Mountain Trail course in the world. Using Bolender Horse Park as the model, Mark has designed and built Mountain Trail courses throughout North America and abroad. Bolender Horse Park is actually designed around a training program for this discipline. That’s in contrast to all other courses that are arranged so that the training program is tailored to the course itself. But Mark designed his horse park to meet the needs of the horse and rider of any skill level in these sports. At any one time you will see both amateurs and professionals training on this course that boasts over 80 obstacles, each with 3 different skill levels that make for endless training potential. Nowhere else but in Bolender Horse Park will a horse and rider be challenged so thoroughly with obstacles such as poles, water, low bridges, high bridges, logs, teeter-totter, rocks, Texas Two-steps, and a host of other important features designed to sharpen all of the skills needed for Mountain Trail and Extreme Mountain Trail riding and competition. At Bolender Horse Park, unity with your horse and the finest horsemanship techniques are integrated with the beautiful surroundings of the park. Your learning experience and the park itself actually are one, great experience. 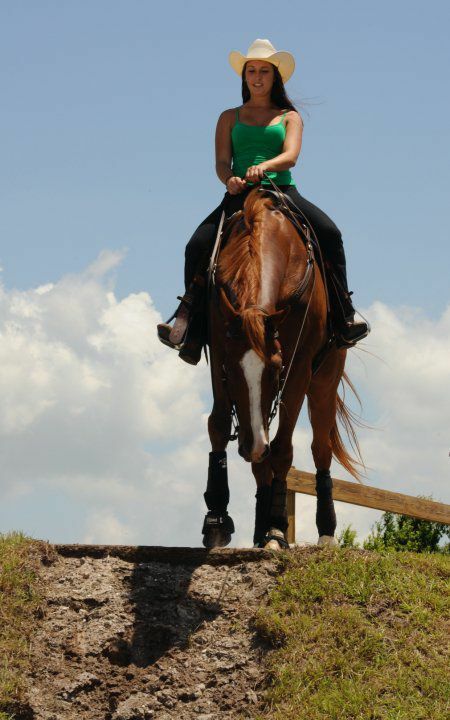 In essence, Bolender Horse Park is for you AND your horse, where you will learn world-class horsemanship and at the same time understand so much more about your horse. Whether you want to show, ride the scenic mountain trails or become an expert in Mountain Trail and Extreme Mountain Trail, Bolender Horse Park is the right place to visit. You’ll have an educational experience and bring home amazing skills — along with some of the very best memories of your life.